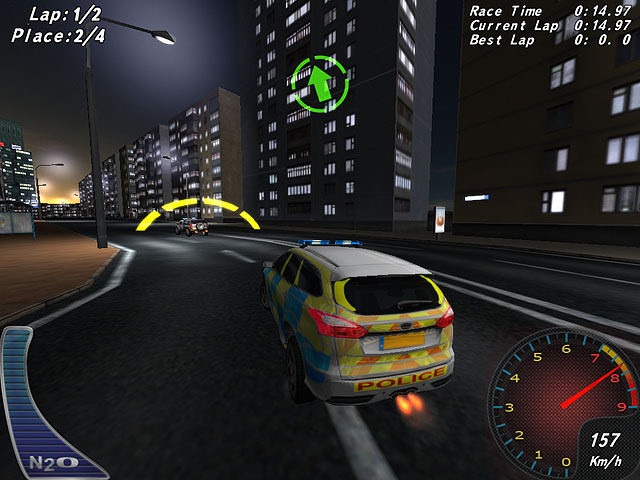 3D police racing game. Police cars are designed to pursuit auto thefts and criminals and to get fast to the place of the crime. But protectors and servants have decided to arrange police cars to race through the night city! Take part in a crazy police race, win new cars and upgrade them to be first at the finish. 12 different police cars and 15 unique races will not let you get bored in this exciting game.